Interested in science? Interested in journalism? Interested in neither but want to be part of a magazine designed and produced by students? If you answered yes to any of these (or even if you answered no and you’re just really curious) then we may just have what you’re looking for here at the Granite City’s very own student-run science magazine! 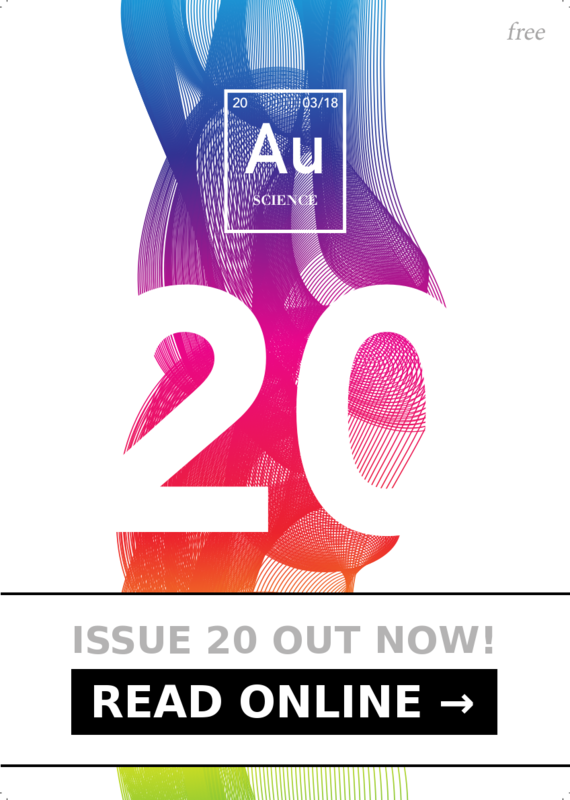 Au Science Magazine and its accompanying website — which we hope you are enjoying right now! — is produced by the University of Aberdeen Science Journalism Society. Every aspect of the magazine is organised by students, from writing to editing and design to publication. However, we accept and welcome contributions from anyone — whether these contributions are photographs, illustrations, specialist skills or written pieces. There are lots of opportunities available — whether you have the creative bug, the discerning eye of a copy editor, or fancy trying your hand at writing in the style of accessible science journalism. Making any magazine involves a large and diverse range of general and specialised skills. You have plenty to choose from, so what do you want to do? We’re always looking for illustrators, writers, editors, designers and organisers so there’s probably something for you. We live in a digital world. Get digital with us. Our growing website serves general information, digital copies of the print magazine and exclusive articles through the blog — and that’s not to mention our wide audience on social media. As a Guest Author or Contributor you can engage with a large audience, increase awareness of your work, or simply practise your writing skills. As a more regular contributor on the team, you can enhance your CV further yet by honing your digital skills as a regular writer or editor on the website — if you’ve got a particular passion, there’s no reason why you can’t head your own special interest section. We’re looking to continue growing our digital content areas so now is a great time to get involved. Keep scrolling for more. So, if you’re ready to dive in and do your part for accessible science journalism as a designer, writer, editor, illustrator or organiser then come along to one of our weekly meetings where you can meet the team, see what we do and have a chat. We publish three printed issues of the magazine each year: one at the beginning of the semester in September, one in January after students are back from their holidays, and one in June coinciding with graduations. Each of our issues follows a theme and this theme will normally be announced ahead of time on the events calendar along with a deadline for submissions. However, if you can’t see a theme anywhere — whether you want to contribute as an editor or already have an article (or an idea for one) — then get in touch and let us know. The Editor-in-Chief is generally the first port of call for any queries regarding editorial direction or what we need for an upcoming issue, with the exception of special sections in the magazine including News. You can get in touch with the Editor-in-Chief at ausminfo@gmail.com, and the respective special section editors on our Meet the Team → section. Single Page 650-700 words Try and keep within the word count — that’s all we can fit in! Double Page 1,300 words More flexible format, so if you have a vision share it with us. Advert / Sponsorship – Contact our marketing expert at ausminfo@gmail.com. Both lengths of article can be accompanied by suggested illustrations or photographs if an appropriate license and accreditation is included. Submissions should be sent via email in an editable text document — for example, .DOCX, .DOC or .ODF — to ausmsub@gmail.com. Please include the original files for any illustrations or photographs, sent as separate file attachments, so that our design team can work with them. Check out past copies of the magazine online here to see what we generally look for in an article. However, you don’t need to send us a flawless, perfect or completely finalised article! We have a team of editors who will not only review your article but who can offer you help and advice at an early stage in writing the article and adding the finishing touches — such as suggesting what to include, how to make the article flow well, and what to think about for accompanying media such as illustrations. We publish three magazines a year to coincide with major local events, and our editing cycles correspond to these dates of publication. Submissions are generally open for a short period of time and once that period is closed the articles are edited by our editorial team in parallel with all other tasks which must be completed before publication. Due to the complexity of the editing cycle, and the limited time that we have to complete it, it is important that you regularly attend meetings and keep up-to-date with what is going on if you would like to edit with us. Questions about editing should be directed to the Editor-in-Chief at ausminfo@gmail.com. Our website is an important resource which allows people to find out about the printed magazine, enjoy our events, and read not only the magazine but original articles between periodical issues, too. As such, we are always looking for more writers, curators, editors, and ideas for the website content. We have visitors from all around the world so your efforts will not go unnoticed! Standard Article 500-1000 words Make good use of headings and illustrations to break up longer articles, and remember to include an appropriately licensed featured image. Extended Feature 1200 words This could cover one or multiple topics in more depth and detail, with numerous media elements or illustrations. Pay close attention to pacing, flow and structure in an article of this length. Generally, although we feature some articles from the magazine on the website, online articles are original and tend to be written in a more casual and conversational manner. This means there is far more opportunity to be creative in the way you write and the way you illustrate your article with media such as images and videos. We look for quality over quantity, so anything that appears on the website should be just as good — interesting, fluent, factual, accessible, and consistent — as if it were in the printed magazine. Don’t panic! Our editors and Web Editor are here to help you with that. If you are interested in writing articles for the website then don’t hesitate to send our Web Editor an email at ausminfo@gmail.com to find out more. Our website can accommodate regular, occasional, and one-off guest writers and we welcome your contributions no matter how frequent — remember, quality over quantity! We are hosting a new series of talks carried out by university students (of all levels) on a topic in Science, Technology, Engineering, Maths and Medicine (STEMM). Au Talks is a platform for students who perhaps wouldn’t normally have the opportunity to talk about their passion, studies, or research and practise their public speaking skills. Au Talks are designed to be fun events where the audience will learn something new and engage with the topic being discussed while speakers improve their public speaking skills. Au Talks always takes place at a comfortable venue with ample space, seating, and refreshments available. For more information about Au Talks or to express your interest in speaking at a future event, contact the Au Talks Coordinator at ausminfo@gmail.com. There is a digital flyer at ausm.org.uk/talks/. So you’ve made it. You’re almost at the finish line. If any of this sounds good to you, then come along to one of our meetings or get in touch with us at ausminfo@gmail.com to have a chat or find out more. And don’t forget to follow us on Twitter and Facebook for more science in the Granite City. But do I have to be a ‘full-time’ member? Anyone can contribute material to the magazine and website, and you don’t have to be a ‘full-time’ member to do so. Our executive committee and team members are all students, but we accept and welcome contributions from anyone — whether these contributions are photographs, illustrations or written pieces.